The green-eyed monster can disrupt the productivity of teams. The meanings of envy and jealousy are close in relation, but Dictionary.com distinguishes the two, with envy being a desire to possess something another person has, and jealousy being a state of resentment of another person getting what should rightfully be yours. This definition makes jealousy more personal than envy. When the two emotions surface on the job, relationships between co-workers can be damaged, so envy and jealousy should be put in check with remedies involving other perspectives. When promotions, salary increases and bonuses are not given fairly to employees who really deserve them based on performance or tenure, it can really cause the envy and jealousy claws to come out. Managers should make advancements in job status as fair as possible for justified reasons, knowing that employees do talk with each other as well as compare their earnings with people in the same position at other companies. Instead of taking it personally, employees who find out that a co-worker with far less experience is making more money might ask their employer which factors would allow for a raise -- and then work on practical steps to improve their position, or seek out other job opportunities as a plan B. It also helps to focus on any positives that the employee can find about the job aside from the monetary aspect, such as opportunities for honing skills or career growth. While accolades, awards and being the boss's pet can be good incentives for employees to do their jobs well, such attention can cause envy and jealousy if the company culture places too much emphasis on the individual who achieves them. Management should focus on the achievements of teams and show appreciation for the groups that help the company as a whole reach its goals. When a co-worker receives an award for a job well done, other employees can offer their congratulations and compliments, while reminding themselves that they also have the opportunity to do an exemplary job using their own skills and talents. "There's room for everyone" is a good motto for co-workers to live by to avoid feelings of jealousy. 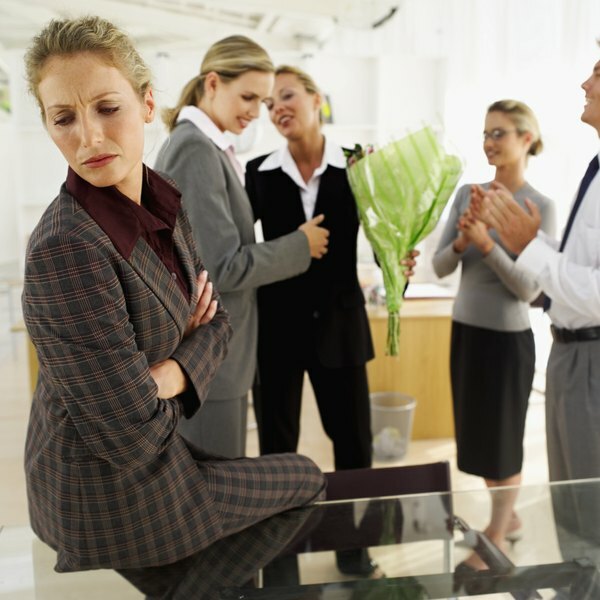 If a co-worker in the cubicle across the hall gets a huge bouquet of roses for Valentine's Day, the employee who gets the $10 special that's sitting at home from the discount store might feel envious and resentful of her own husband -- not to mention feeling a sense of inferiority at work. Physical attractiveness and social popularity can be the source of much envy and jealousy on the job. A co-worker who always wears the most fashionable attire, gets the most male attention or has the most female friends in the office can make other female employees feel inadequate. A remedy for this type of envy or jealousy is remembering that everyone is at work to do a job, not to gain self-esteem for their social lives. Remembering the purpose of work -- earning a paycheck and contributing professional skills -- can help remove any personal emotions and remind employees to leave the social life out of the office. Each employee is also free to play up her own strengths instead of making comparisons. Some employees will always be more talented or experienced than others, which leaves possibilities open for envy and jealousy when working on company projects. Managers can head this off by encouraging employees to focus on the big-picture goal of the group's project, so that there is less focus on a particular individual's contribution and more attention given to the larger, shared, final outcome. 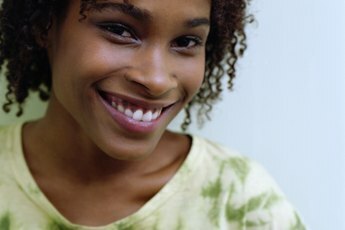 If everyone is given a fair turn at being recognized, less jealousy is likely to surface. Opportunities should be given occasionally for less-skilled workers to learn from those that are more skilled, so that each person has a chance to grow and shine. Likewise, a worker who feels jealous of someone with more skill can turn it into a positive by letting the co-worker be her professional mentor and teacher.